Last week it was all reviews from my personal collection of imported anime. This week it’s all reviews for forthcoming or recent UK releases. A little balance would be nice. First up was Initial D Legend 1: Awakening. 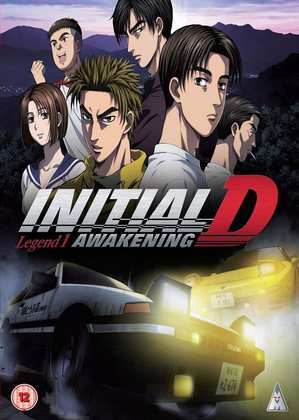 Initial D had an aborted UK release for its TV anime version, never getting past the first volume. Hopefully the anime feature film trilogy will fare better in the UK. It’s a retelling of the start of the story, but this time given the budget and animation to do the street racing story justice. A tofu delivery boy has been trained to deliver his goods like a rally star thanks to his ex-racer father, only he doesn’t know it. His life is about to change when he gets drawn into the street racing scene. Click on the review to read more. Speaking of aborted... Blue Exorcist is one of the better shonen action manga out there, and it got a worthy first series from Studio A1 back in the day, brought out in the UK by Manga Entertainment. But after a conclusion of filler, the anime just left us hanging. It took six years for the sequel to finally be made, and we now get to see what happens next to the son of Satan, as he trains up to be an Exorcist and lay a smackdown on daddy dearest. Blue Exorcist: Kyoto Saga - Part 1 adapts the next chapter of the manga, picking up where the first series left off, or rather where episode 17 of the first series left off. And it’s just as good as I remember. It’s not exorcists, it’s nuns with guns fighting the devil in Chrono Crusade, a series making a return to the UK scene after a long time out of print. This Gonzo action show was a veritable fan favourite back in the day, with a young, brash nun, partnered with a friendly devil to battle all manner of evil, while searching for her missing brother. But the main antagonist, a charismatic devil named Aion has apocalyptic plans for the world. Chrono Crusade made waves back in the early 2000s, but can it still deliver the goods fifteen years down the line? Click on the review to see the answer. Disgaea. Devils are like buses. You wait ages for one, and three turn up in a row. 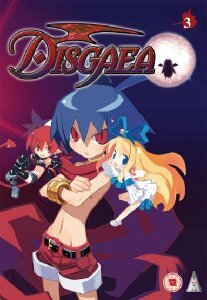 Disgaea is a videogame adaptation that sees Laharl, the son of the demon overlord awoken from his slumber after two years to learn that his father has died, his kingdom usurped, and a price put on his head. So begins a mission to claim the throne of hell, aided by a manipulative devil named Etna, and an out of place angel named Flonne, and a band of Prinny servants. It’s a cute comedy adventure show, with something of a Monkey Island sensibility, an absurd sense of humour. Alas, the humour doesn’t quite sustain over the series runtime, but there are moments of comedy to appreciate throughout the run. 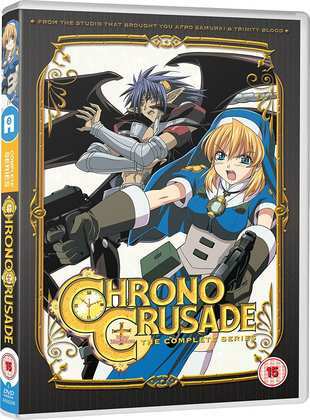 All the Anime released Chrono Crusade as a DVD Complete Collection on February 26th. 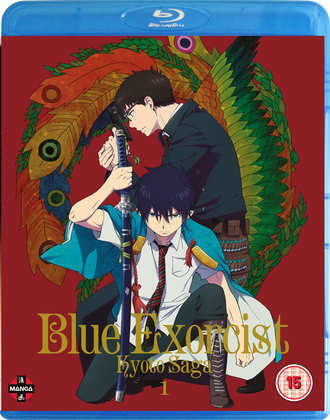 Manga Entertainment release Blue Exorcist (Season 2) Kyoto Saga Volume 1 on Blu-ray and DVD next Monday, which is when MVM release Initial D Legend 1: Awakening on Blu-ray and DVD.